A regal soul. These three words best describe the Chinese Chongqing dog. This majestic molosser is rare. He looks like no other dog. When you greet him, he asserts himself. Perhaps he has a right to, because he has a rich, long history. Thus, the Chongqing Dogs serves as excellent guard dogs, just like Dobermans, German Shepherds and Rottweilers. Before you roll out the red carpet for him, find out how he is likely to behave in your home. Training brings out a dog’s best. All dogs need it, and the Chongqing dog is no exception. Take some time to find out his training needs. The Chinese Chongqing dog came into being in the Sichuan and Chongqing regions of China 2000 years ago. Though he was predominantly bred for hunting, he also served as a guardian. He plays the latter role today. This dog was already well-known in the region by the Han Dynasty (206-220 A.D.) He faced extinction at various points throughout his history, and he is still difficult to find. His rarity is due to deliberate, selective breeding. He was an invaluable pet for impoverished Chinese farmers, as he could hunt animals and small game. A draw of this dog was that he could work independently or with a pack. Fearsome, he could even kill predators. Owners treasured him for his fighting instinct.Some reported that he could fend off tigers. He is a symbol of luck and protection. The Chinese Chongqing dog has a unique appearance. There is no mistaking him. This middle-sized dog stands at 16 to 19 and a half inches, and weighs between 44 and 54 pounds. Stocky, his muscles are visible beneath his short, mahogany coat. His tail is his most special feature. Known as a “bamboo tail”, it stands completely straight. It is thick at the base and sharp at the end. It has little hair. This dog’s head is outstanding as well. The skull is large for the dog’s body, and its top is flat. The muzzle is short and the cheekbones, well-pronounced. This gives it a squarish appearance. The Chongqing dog’s face, like his bulldog cousins’, has wrinkles. His ears are erect and stress how alert he is. He does not need specific grooming, and does not shed much. Brush his glossy coat daily and clip his nails. How does the Chinese Chongqing Dog behave? Before you usher the Chongqing dog through your door, uncover his temperament. This will help you relate better to him as a housemate. It will also help you to develop training platforms for him. He is, first, a natural guard dog. He retains his territorial, protective instincts today. Alert, he is willing to guard your family to his death. The Chongqing dog’s guardian instincts makes him wary of strangers. Devoted to his family, the Chinese Chongqing dog will not let anyone near them easily. This said, he is usually amiable with strangers as long as his owner accepts them. Do note that this dog is an evolutionary breed with strong hunting instincts. Do not keep him with small pets like hamsters or rabbits, as these instincts will come to the fore. In this video, Chinese Chongqing dogs go out for a hunting expedition. Do not own a Chinese Chongqing dog if there are small children at home. This dog is relatively strong and may injure them if he jumps on them. This said, he will get along well with older children. The Chinese Chongqing dog has keen senses. He is curious, and wants to know everything that is going on around him. Watch how this Chongqing dog sits alertly while his owner manages the video camera, then comes to give it a thorough examination. He is a dignified, quiet personality. Chongqing dogs do not bark much. When they do, it is to alert their owners to important situations, like the doorbell ringing. This fellow is unflappable in the face of danger, and will give predators a good challenge. He may even kill the ones caught off guard. Here, a Chongqing dog faces a snake. Is the Chinese Chongqing Dog easy to train? The Chinese Chongqing Dog, like other members of the Molosser family, will show his wild side if he does not receive basic obedience or game training. Before you put him through his training paces, it is good to know what type of learner he is. The Chinese Chongqing Dog is smart. Most trainers and owners describe him as being extremely easy and delightful to train. The Right Pet and Pet Paw websites mention that he excels during training. This said, bear his needs in mind before you start any training program. The Chinese Chongqing Dog Promotional Committee suggests that you need to put time into training your Chongqing dog. Like most Molosser dogs, he may develop dominance or separation anxiety issues. These tendencies may make him destructive. This dog has strong hunting instincts. These may cause him to lose his focus. Bring him to open areas where there are few animals to chase or objects to run after. Experienced trainers realize that all dogs are different. How easy it is to train your Chongqing dog depends on his ability to focus on given tasks and respond to instructions. His relationship with you is a determining factor as well. Every dog has specific training needs. Bear those of the Chongqing Dog’s in mind before you begin a training routine. a. Chinese Chongqing Dog needs a pack leader. Being of the Molosser variety, he needs the firm hand of a pack leader. His fighting instinct will show itself otherwise. Like a typical bulldog, the Chinese Chongqing dog may show dominance if not kept in check. Remain calm during training and set your boundaries with your dog. Let him know when he crosses these boundaries with a simple, firm command. Using the right timing during training is an essential quality of a pack leader. Teach your dog to wait for treats and instructions, as this shapes him mentally. b. Chinese Chongqing Dog does not take well to heavy-handed training. Note that the Chongqing dog does not respond well to harsh training methods. Experts do not recommend using averse training (e.g.spraying or batting the dog’s nose) to teach this dog. Positive reinforcement will draw out the best in your Chongqing dog. Have treats on hand during training sessions. c. Give Chinese Chongqing dog social training. Being a Mastiff-type dog, the Chongqing dog is naturally tense around people he does not know, or animals he is not familiar with. To counter this problem, familiarize him with social situations early. Bring him on daily walks when he can get to know people and their dogs. Teach your Chongqing dog to come to heel and to greet friends graciously when they approach him. This will make him the most pleasant dog on the block. 4. Make sure that he has regular exercise. The Chongqing dog is highly energetic, and not suited to apartment living. He thrives in a large, fenced yard. He can live with you in an apartment, if he receives enough exercise. Training routines should include daily jogs. 5. Do not let him run off its leash. Do not trust a Chongqing dog off its leash. He may give in to his predatory instincts and start chasing small animals. He may also become dangerous to young children. Lest his hunting drive takes over, keep him reined in. 6. Give fair, consistent instructions. Consistency is important when training a Chongqing dog. Make sure that you do not give him conflicting instructions. Saying “No” when he does something that he should not yet patting him after that will only confuse him. “Find It” is a game that will hone your Chongqing dog’s tracking abilities. When your dog goes to find them, praise him generously and give him a treat. When he understands that he is supposed to find the object, make the game harder. Let him smell the keys. Hide them when he is not looking your way. When he is able to point them out, give him a treat. “Chuju”, a game played with a bamboo or rattan-made ball, is an ancient game popular with the Chinese. It bears stark similarities to soccer. It comes as no surprise that a Chinese Chongqing Dog, with high amounts of energy, will enjoy it too. Kick a ball over to your dog. When he uses his paw or nose to nudge the ball your way, give him a treat. Do this until he understands that the rule of the game is to pass the ball back and forth. Your Chinese Chongqing Dog is definitely not a couch potato, and needs a job to engage him both physically and mentally. Assign him a task, like waking your children up. To teach the Chongqing to wake you or your loved ones up, keep him off the bed first. “Off” is an important command to teach every dog. Use the command often. He will soon stop the jumping habit. You will then have to teach him how to jump on the bed at the right time. Start using the alarm. When it rings at the set time, call your dog. Since he knows the “Off” command, he will probably pause at its side. If you are really persistent, he will jump on the bed and ask you for a belly rub. Reward him for jumping up at the right time. You can train your dog to wake you in different ways. If you want him to nudge you awake gently, have treats under your pillow. He will hopefully look for the treats there when he jumps up, and wake you by doing so. Getting your dog to lick you awake is more messy. Smear treats on your hands before your alarm goes off. The dog will need little encouragement to lick them from your hands. When the alarm stops, tell your dog to get off the bed again. The whole process will take a few tries to succeed. Use a command, like “Alarm,” to describe it. Mastiff-type dogs like the Chinese Chongqing dog love to chew. Satisfy this need with interactive puzzle toys. You can fill Kong toys with treats and challenge your dog to retrieve them. This will train his mind. To make the process more difficult, hide the toys all over the house. The treats in the toys are your dog’s for reward for finding them. Training and knowledge will turn your Chongqing dog into a must-have companion. Though the Chinese Chongqing dog is a rare breed, the basic instincts of a guard dog is within. The Chinese Chongqing dog is a fantastic dog to have around. Give him the proper training required and your family will have many wonderful years with this adorable dog. 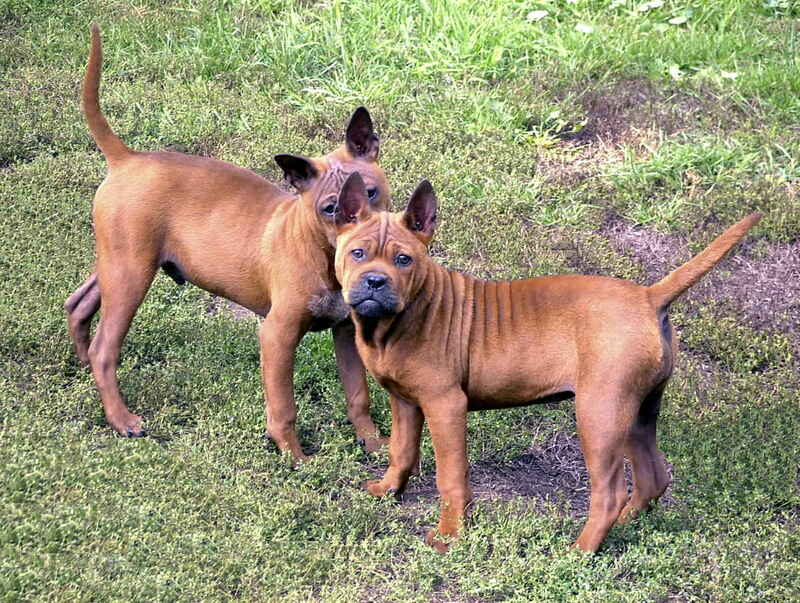 Where can these dogs be found in u.s. anyone no?